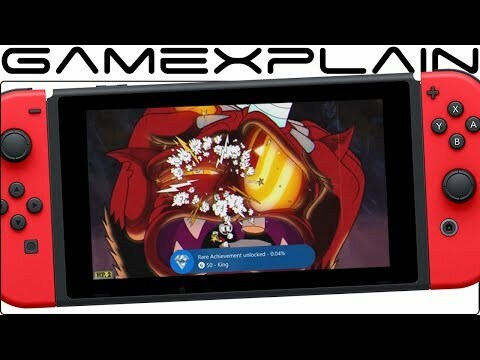 With the announcement of the landing of Cuphead on the Switch on April 18, Microsoft announced that the functionalities of Xbox Live will be introduced in the conversion to the hybrid Nintendo. Confirmation of this is Chris Charla, senior director of [email protected], in an extended post published today on Xbox Wire. A choice which, moreover, had already been anticipated in the month of February, when the house of Redmond had expressed the intention to expand Xbox Live to other platforms. “As with most new technologies, we like to work with partners to explore the innovations that we are offering to the developers. This brings us to the Cuphead! Our friends from Studio MDHR have already experience with Xbox Live beyond the console – Cuphead is also available on Windows 10 with Xbox Live. We have had some good conversations with them about Xbox Live and the community, especially after seeing what he had done Mojang with Minecraft and Bedrock Edition,” wrote Charla. “On the basis of these recent discussions, we are collaborating with Studio MDHR for the study of the features of Xbox Live on the Nintendo Switch over to the PC and Xbox. Yes, this means that fans will now have the opportunity to find the title of the debut Studio MDHR on the Nintendo Switch with Xbox Live!” continued. “We will work with Studio MDHR to implement the functionality of Xbox Live in Cuphead on Nintendo Switch in the coming months”. In the final part of the post, it was confirmed that the above features will be introduced in Cuphead for the Nintendo Switch with an update expected after the launch. Below we propose the trailer that was confirmed the arrival of the conversion, on the occasion of the Nindies Showcase this afternoon.